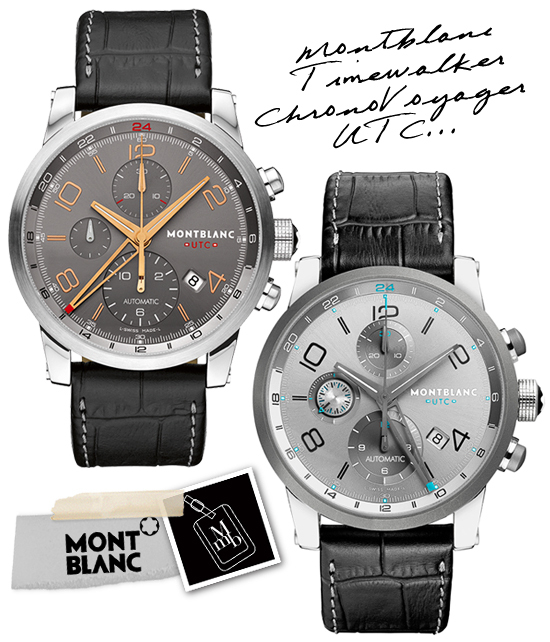 Sometimes, looking beyond the usual high fashion brands can uncover gems like these from lesser known names. 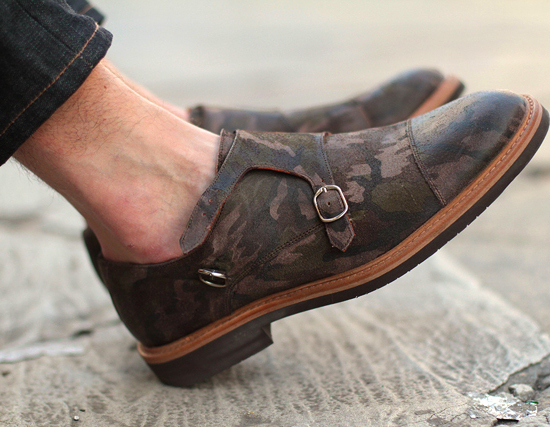 At a great price of USD289, and with fewer chances fellow fashion ‘compatriots’ wearing the same design... this pair of Suitsupply Camouflage Monkstrap shoes is any dapper gentlemen’s 'formidable' style accessory. 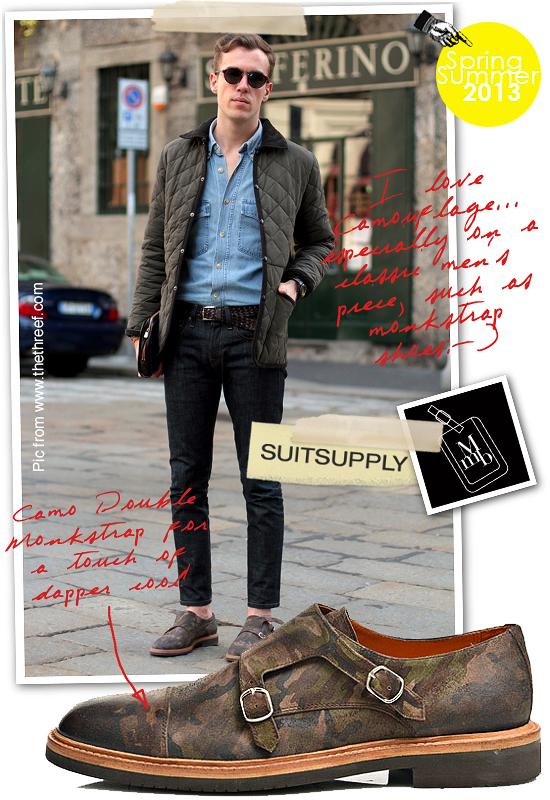 Click here for more pics of Suitsupply's Camouflage Double Monstrap shoes on my facebook fanpage. 'LIKE' my fanpage if you enjoy reading this post.